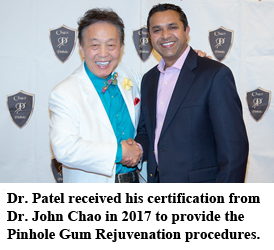 Dr. Manoj Patel earned his dental degree from India in 1998, and practiced as a general dentist there until 2003 where he later moved to the United States to continue his passion for dentistry. He earned his Doctorate of Dental Surgery from the University of Florida in 2010 and attended Georgia Regents University AAID MaxiCourse in Augusta during 2015. 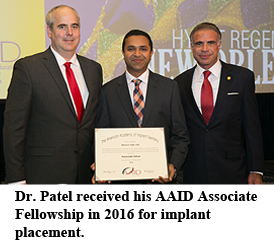 Dr. Patel earned his Associate Fellowship with AAID in 2016 for his specialty in implant placement surgery, and has become a Certified Pinhole Surgical Clinician as of 2017. 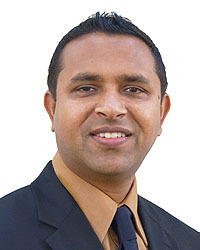 Dr. Patel treats all phases of dentistry from simple fillings to full mouth reconstructions. When Dr. Patel is away from the office, he enjoys spending time with his loving wife and 3 beautiful daughters. He also likes to engage in his favorite hobbies such as volleyball, tennis, and cricket. He is actively involved in charitable dental camps, various cultural and religious activities, and participates in many health & wellness fairs throughout Central Florida. "Some people have anxiety and fear when it comes to dentistry. I find it rewarding to work through these obstacles and motivate the patient, while rewarding them with the healthy smile they deserve and have always wanted."